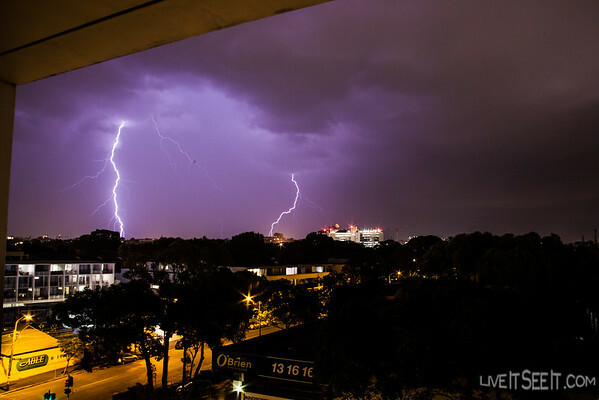 Late Spring and Early Summer in Sydney is traditionally the time we see a lot of unstable storms move through. This week, we’ve been subject to them with consistency each afternoon and evening. 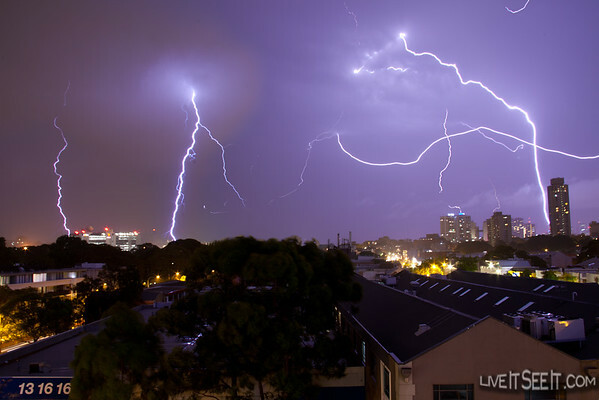 Wednesday’s systems were quite severe and caused traffic dramas with flash flooding, caused electrical transformers to catch alight in Pyrmont and reportedly started at least one house fire. Thursday’s systems came into Sydney later in the evening and put on a spectacular light show around the city around 10pm-midnight. 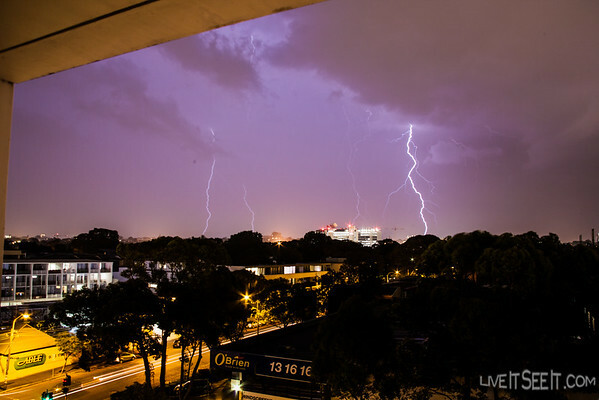 As the night sky came alive, I setup my camera on the balcony and started to capture some great nearby strikes. As the storm rolled on they only became more spectacular. Here is an image of 6 stacked photos. And a couple of individual frame. As an East Coast low brought flooding to the North of New South Wales, Sydney woke up to a grey wet and windy day for the start of another Summer weekend. Most Sydneysiders were cancelling outdoor plans, choosing instead to stay at home or head to cafes and shopping centres for their Saturday morning. 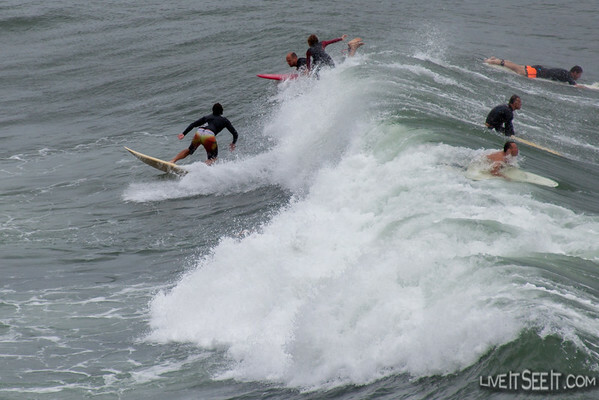 Meanwhile, surfers were heading out to enjoy some hefty swells and big waves. As a result of the weather system, waves were presenting well inside Sydney Harbour. At this location in the Eastern Suburbs, dozens of surfers crowded the break just off rocks. 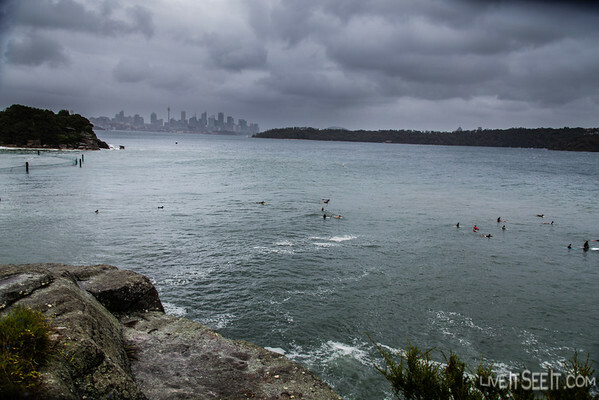 To the backdrop of Sydney’s city skyline, several spectators braving the weather enjoyed a fantastic view from nearby clifftops. Video and Images available below.